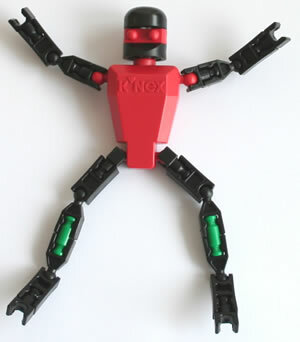 The Curriculum section of this website includes information on using K'NEX in the ICT curriculum. 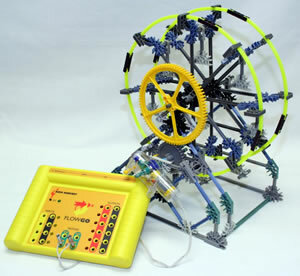 The main purpose of this section is to provide some specific examples of K'NEX computer control projects, using computer control interfaces such as Flowgo (pictured). 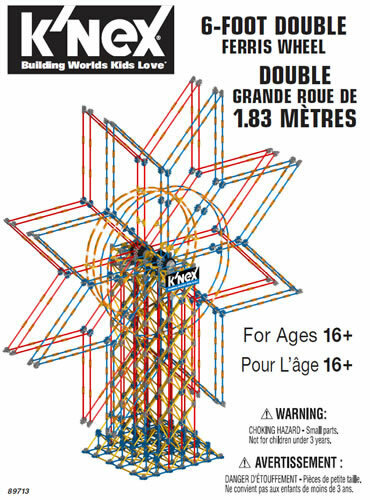 We would recommend that when using K'NEX for computer control, pupils are set K'NEX challenges, rather than simply building a computer controlled model from instructions. This approach will make the project more enjoyable, and also develop the designing and making skills of pupils. 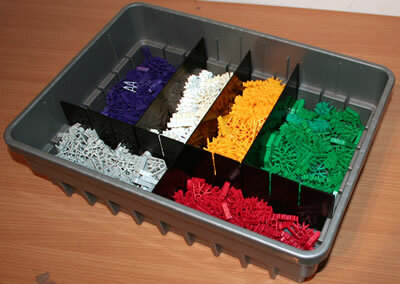 Some suggestions for K'NEX computer control challenges are shown below. Level 1 - Build a computer-controlled Ecodome with opening windows, covered in transparent plastic film (eg cling film). Level 2 - As level 1, and use a temperature sensor to open the windows when the temperature reaches a set level. Level 2 - As level 1, which will crawl around a table top. Level 2 - As level 1, with music and flashing lights.